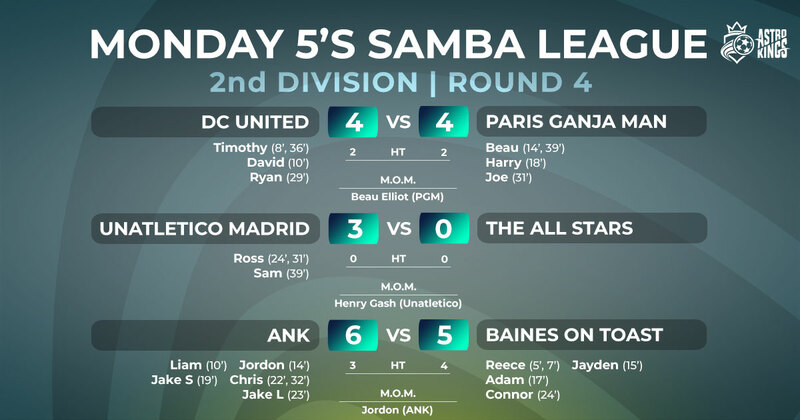 Having not played since their 10:5 loss in early December, DC United returned to league action against Paris Ganja Man. The first half was tight, and after DC went two up, Paris hit back with two themselves, and the half ended with a two a piece. 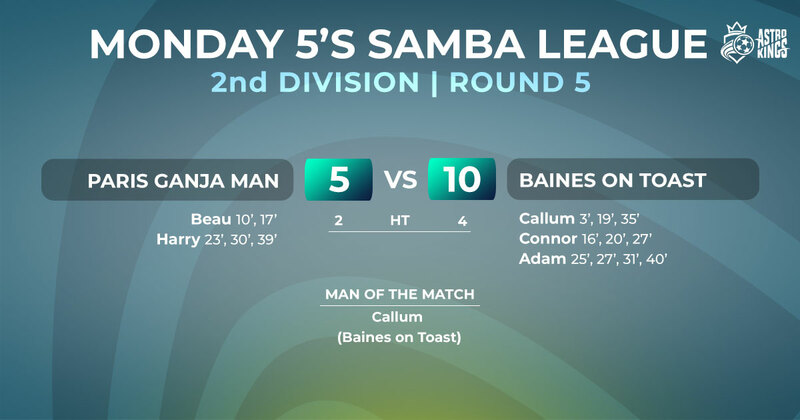 The second half was equally as well-matched. Despite nudging into the lead twice, DC couldn’t breakaway and build up a goal cushion. Paris kept fighting back and secured a well-earned draw. 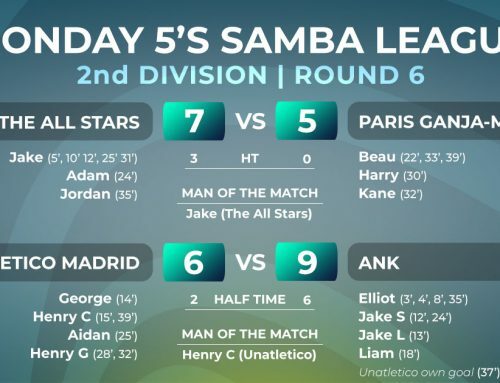 Still waiting for their first win of the season, Unatletico Madrid, faced The All Stars who hoped to make it two wins from two. 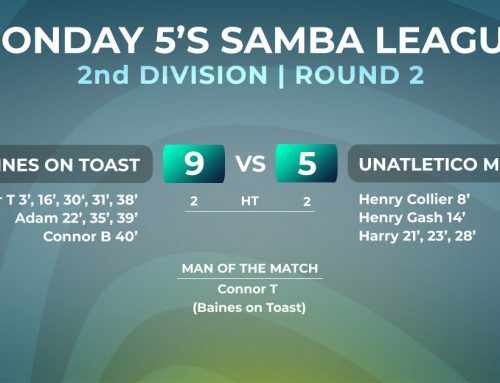 It was a case of both teams cancelling each other out in the first half, both defences like a fortress. 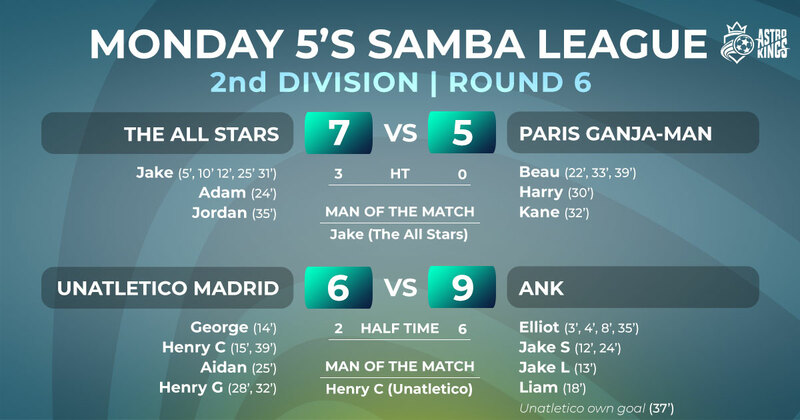 The second saw some some goal action as man of the match Henry Gash pulled the strings for Madrid, Sam and Ross provided the night’s 3 goals. 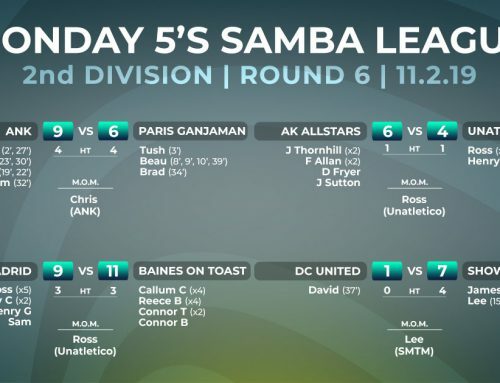 The All Stars, drew a blank this week and will need to put in a good performance against top of the league ANK in their next fixture. 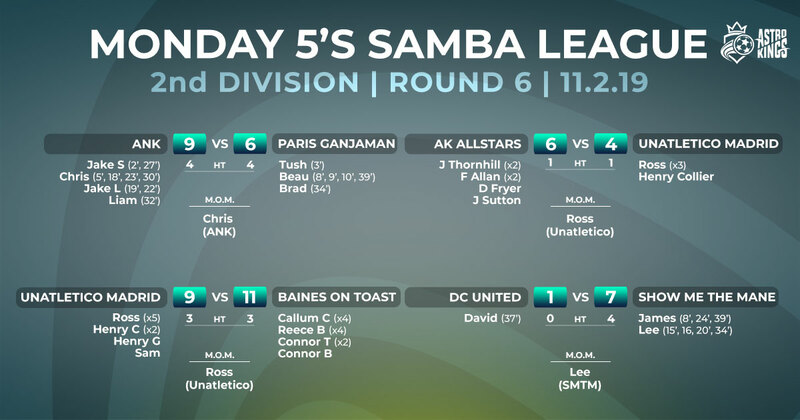 It was a top-of-the-table clash tonight as ANK faced Baines on Toast, both wanting to keep their 100% win records intact. 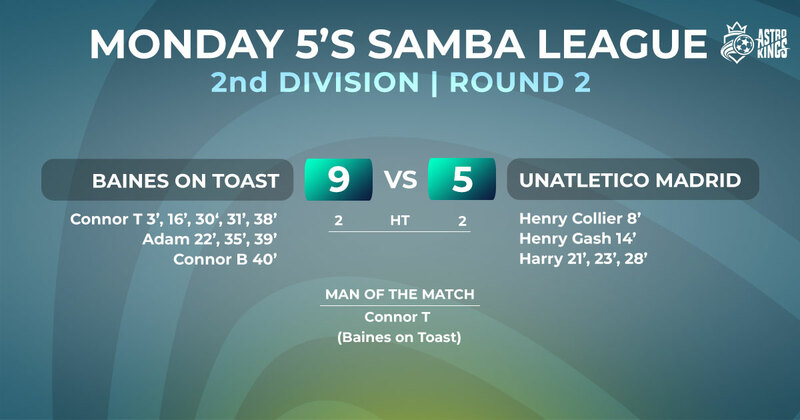 It took five minutes for the first goal to be scored, Reece finding the back of the net for Toast. 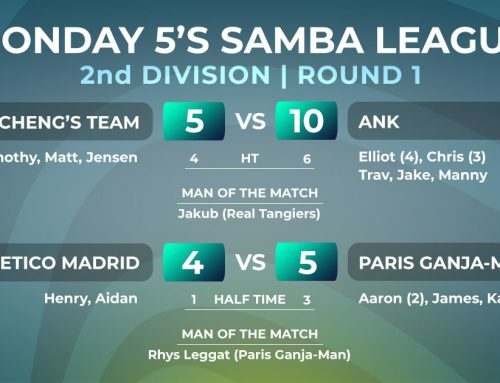 The next ten minutes saw goals flying-in at either end, and when the ref blew for the break, ANK were four-three down. 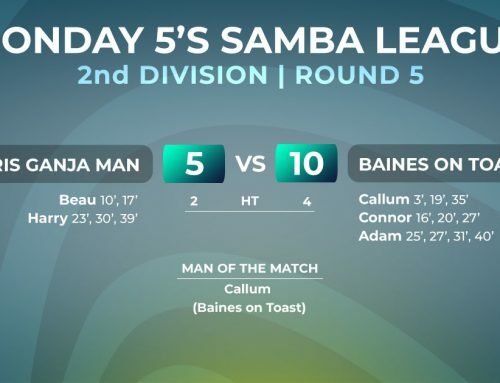 With both teams only having five players, they knew they had to reserve energy to get through the second half. With the scores level at five-all with eight minutes to go, Chris bagged his second, which was to be the winning goal. 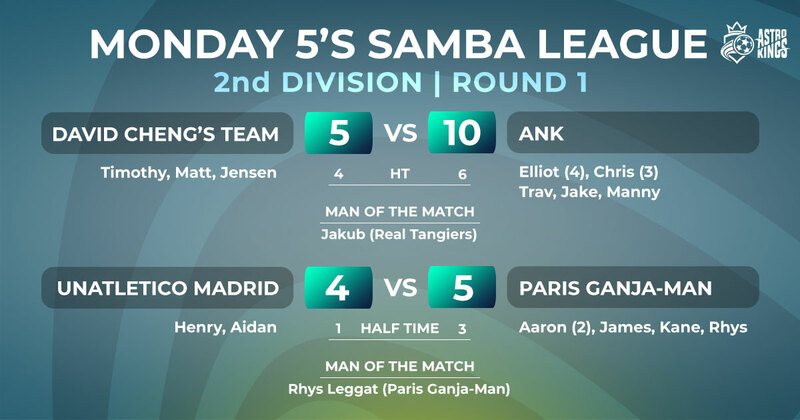 With every one of their players making the score-sheet, ANK will be delighted with their comeback victory, which places them three points clear at the top of the league.